It's just the second week of March, and it's sandals weather already! Luckily, for those looking for a comfortable, supportive, stylish new sandal, we've got some great options from Superfeet arriving next week. 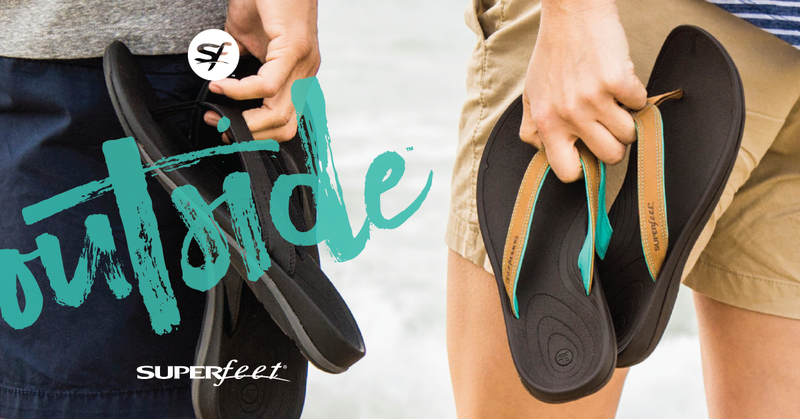 Superfeet’s new OUTSIDE sandals feature the same ADD/APT™ technology that makes its orthotic inserts so popular. These sandals will match your energy step-for-step. Post-race or post-hike, fireside or poolside, get the comfort and support your feet crave that ordinary sandals can’t provide.